There are good partners, and the other kind. Pick your startup partner well and your odds of success skyrocket. Here is how. Guy Smith: Hello, everybody, and welcome to another episode of the Tough Things First podcast where we get to have a conversation with Silicon Valley’s longest serving CEO, Mr Ray Zinn. And I’m going to find this one interesting, because I’ve got a little insight into the story and I’ve seen so many startups in Silicon Valley that come and go, and some interesting tensions that can exist, and it’s all because most startups happen through a simple partnership. In Silicon Valley, the traditional story is that one business oriented person teams up with one techie. They go into their garage and they try to invent something slick. That’s the partnership and it happens all the time in Silicon Valley. 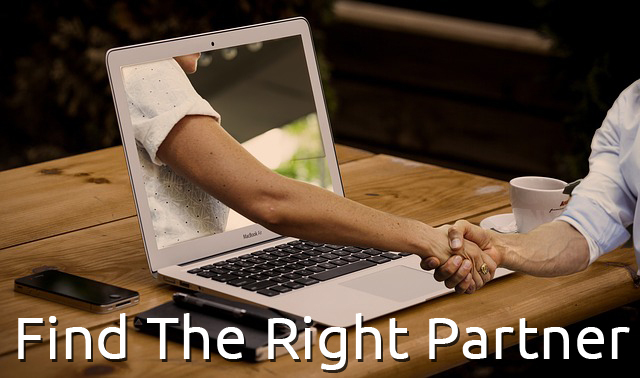 And so, choosing your partner, whether you’re the techie looking for the business guy or the business guy looking for the techie, or something more complex than that arrangement, you need to pick a good partner because if you don’t it probably won’t last. So Ray, good morning to you. I’m anxious to talk to you about this. How are you today, sir? Ray Zinn: Doing well. Thanks, Guy. Hopefully I’m over my cold by now and be able to move right along. So interesting subject you’ve pick today, Guy. Guy Smith: Yeah, and I’m gonna start off just really personal. Tell us about Warren, your partner. You guys were, well, not to put too fine of a point on it, you guys were kind of different. In fact, it was really funny. I gave him a watch one time, a digital watch. And so, I noticed that after about a year the watch quit working. And I said, “Why don’t you get a new … put a battery in that watch.” He says, “Why?” I said, “Well, because it’s not working. You wear it like a watch but you don’t … it’s not functioning as a watch.” He says, “Well, it’s correct twice a day.” And I said, “Well, yeah. Okay, fine. But why do you wear it if it’s not working?” And he says, “Oh, well, at least it looks like a watch.” So, I mean, he was just different that way. And we got along very well because he didn’t jump in my arena and I didn’t jump in his arena, so we didn’t argue. We didn’t have different points of view about how to run the company and that really helped out. So now, not everybody’s gonna have an ideal match, like Warren and I, where both of you have their expertise in a particular area where’s no overlap. But when you do look for a partner, make sure that there’s not too much overlap in experience, because that’s where problems arise, is that, “Well, I know how to do this and I know how,” they start arguing about who knows which way to go. So just like in a marriage, you want your spouse to be a complement to you not be an overlap. Guy Smith: Well, I think that’s a stunningly good point. I think one of the reasons I never lasted very long in startups is I have a business degree but I also had this deeply technical backside and I always found myself sticking my nose in the techies’ work and they were not too fond of that. So it works both ways, the techies would like to be left alone to do their job as much as the people, business people would like to be left alone to do their job. Ray Zinn: There’s not always that luxury of finding two people that are complementary, but you need to make sure if there is not a lot of complementary differences that there’re areas where you are overlapping that you do have a good relationship with that partner, such that there’s a division of labor and you don’t sit there and debate who’s making the right choices in their particular area. So in other words, you stick to your area of responsibility and let them stick to theirs. Of course, it works better if … more like Warren and mine, because we were totally complementary. He was not a business person and I was not a techie person. And so, there was never that challenge of who knows best in a particular area. Whenever you’re out there trying to partner up with someone, the relationship that you have is extremely important. You have to respect each other. And where there are overlaps, you have to recognize those overlaps and then be willing to bite your tongue and slap your wrist, or whatever, and not try to micromanage them in the areas where they have the responsibility but you have the overlap. Guy Smith: I think that’s a very good point, that being able to back off is hard for a lot of people in Silicon Valley, and a lot of entrepreneurs who really wanna be involved in every detail of their business. How does an entrepreneur learn that talent of backing off and keeping their nose out of the partner’s part of the work? Ray Zinn: Well, just like in a marriage with 60% of marriages end up in divorce, the same is gonna happen in a company. You’re gonna have, probably, 60% to 70% of these partnerships are gonna dissolve just because they don’t get along. And the reason they don’t get along is, as we discussed, is they tend to stick their nose in other people’s business, and they wanna argue about what’s the white stuff in the chicken manure. So what you wanna do is just make sure that where there is overlap that you respect each other and agree to disagree, as you would, and let the thing move forward. You can’t have two people doing the same job. Guy Smith: I think it’s that respect angle that’s really important. I’m a member of this forum of old greybeard techies. And boy, talk about folks with radically different dispositions, attitudes about technology, life, politics, religion, blah, blah, blah. But the one thing that we all have is a deep respect for each other’s intelligence, and you can throw us all into the room and we will have these amazing, extended, nearly violent discussion. We still leave as friends because we do have that respect for each other’s intelligence. Back to partners for a second, what are the red flags? Let’s say you’re a techie, or let’s say you’re the business guy on Silicon Valley, you’re looking for a partner. What red flags should you be watching for in a potential partner that make you know that they’re not the right one? Ray Zinn: Well, if you’re friends, or not friends I should say, that would be a red flag. And in a discussion of how they approach the business, if they have a lot of these disagreements, that their personalities are such, they’re both super-A personalities, then that’s a red flag. And so, you’ll find that if, when you’re interviewing or when you’re discussing the relationship, if that person wants to be the CEO, ultimately, and you said, “Okay. Well, let’s see how it goes,” that’s a red flag because they’re gonna be focused on what it’s gonna take for them to become the CEO rather than that relationship with you and them. We see this over and over where the aspirations of the other partner are just too great. In other words, he’s not gonna be happy just settling in where you want him to settle in. He may want to move faster than you’re willing or able to absorb. Another is if there’s huge cultural differences. That could be an issue. That’s why you see some companies where they … partners are culturally the same, where they’re from India, or from China, or from Japan, or from wherever, from Europe, they tend to be culturally the same and that’s important for respect. So where there are cultural differences, that should be a red flag. Not that it can’t work out, but if there’s big cultural differences that can be a stumbling in their relationship. Guy Smith: And I think that’s an interesting point, because in Silicon Valley we try to create global companies. Let’s use Google as our example for the day. And they try to be hugely inclusive about multiple cultures from around the globe because they have to serve a global community, so that, from the initial partnership standpoint though, that’s probably not important. [Brendan Page 00:10:48], were buddies in college and were culturally aligned. But at some point, the organization may have to become extremely culturally diverse. So reading what you said a little bit differently, it’s important in the early phase, and probably a negative in the later phase of the corporate development. Ray Zinn: Age differences can be an issue. Cultural differences can be an issue. The aspirations of the individuals could be different. So where there are these differences, that the red flags. Now, when we talk about being complementary, those aren’t differences. Those are … That’s like you have a plumber that’s doing the plumbing of the house, electrical doing electrical. Those are complementary. So you wanna make sure that there’s not differences in the relationship, as opposed to complementary values. So whatever your aspirations are for your company, make sure you eliminate as many of those differences as you can in order for the compatibility to be strong enough that the company lasts. Because I know that, looking here in Silicon Valley, I mean, probably 60% to 70% of all partnerships are dissolved within the first couple, two or three years. Guy Smith: That’s a very good point. And for our listeners out there, get a copy of Ray’s first book, Tough Things First. There’s some very sentimental passages in there about the early days of Micrel, about Ray and Warren, about how the partnership worked and very well worth your read if you’re an entrepreneur in Silicon Valley, or anywhere for that matter of fact, and you wanna understand this dynamic a little bit better. And while I’m doing a pitch here, if you enjoyed this podcast, if it was instructive to you in terms of founding and leading your business, then rate and review this podcast on iTunes, or Google Play, or wherever you get your podcast and send a link to your friends who are also entrepreneurs, or working in Silicon Valley. This should be your weekly 10 to 15 minute deep dive education from the man who really has done it all, 50 years in Silicon Valley,, 37 years at the helm of his own semiconductor company. You’re not going to get a better education on leadership, management and entrepreneurship than you’re going to find here and in Ray’s two books, Tough Things First and The Zen of Zinn. So, thank you very much again, Ray, and we will see everybody in the listening audience again next week. Ray Zinn: Thank you, Guy. Look forward to it.